The Alpha Iota Chapter of Sigma Theta Tau, the national honor society of nursing, was installed at the University of Missouri on Dec. 12, 1964. The purposes of the society are to foster high professional standards, encourage creative work, promote maximum development of the individual, and increase one’s capacity to serve the profession and society, promote the spirit of fellowship among members of the nursing profession, develop an abiding interest in the advancement of nursing, and promote continuous participation as responsible members of the profession. Students who are in the final year of the program may be invited to apply for membership. Pre-nursing and clinical majors are encouraged to join the MU Student Nurses’ Association (SNA). Membership and involvement at the state level with Missouri Nursing Students’ Association (MONSA) and at the National Student Nurses’ Association (NSNA) are encouraged. NSNA enhances leadership skills by offering students educational and career development opportunities. Sinclair School of Nursing supports NSNA membership and attendance at Mid-Year Conference and Annual Convention. Participation in the NSNA at the local, state and national level offers students the opportunity to stay current on issues of importance to nursing students. Learning how to serve and have their voices heard in state legislatures, Congress, professional nursing organizations, and communities. The NSNA magazine Imprint, scholarship opportunities, discounts on textbooks and other nursing and school supplies are all additional benefits. SNA activities include monthly meetings with guest speakers, community service projects, Student Nurses’ Week, Homecoming participation, Nurse Advocacy Day representation, annual state and national conventions and more. Key SNA committees are Diversity in Nursing, Sharing Health Hand by Hand, and Moving toward a Healthier You. Officers and Board of Directors are elected each spring. 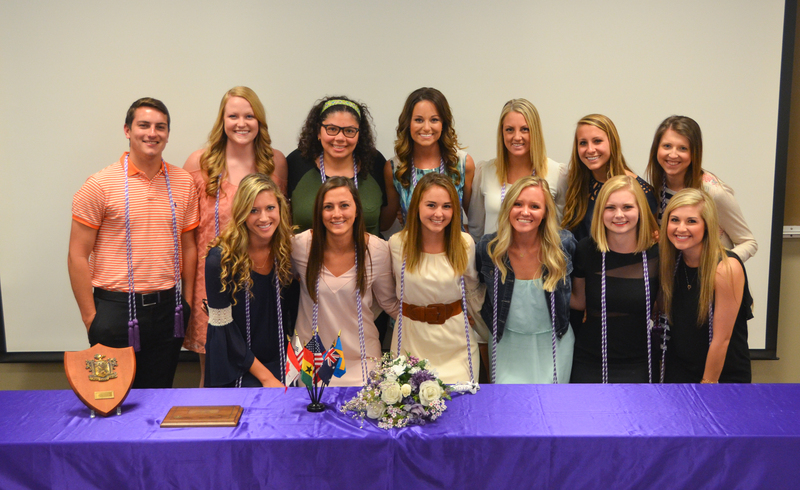 All undergraduate nursing students are automatically members of the Nursing Student Council. NSC is composed of elected executive officers, class representatives, and student representatives to the student faculty committees. Council meetings are open to all students, and all NSC members have voting privileges. The NSC gives nursing students a voice in affairs affecting their academic and social lives; serves to enhance students’ educational and social environment; improves communications among students, faculty, and administrators; assists in the development and improvement of selected nursing school policies, and coordinates the various student activities in the school. A copy of the charter is given to each student upon request. Nurses Christian Fellowship is a part of InterVarsity Christian Fellowship. NCF provides an opportunity for students and faculty to meet and pray, share Bible studies and socialize with other Christian nurses or nursing students. Members are also committed to service projects. The Faculty Assembly (FA), a faculty organization, serves as the governing body of the faculty in the MU Sinclair School of Nursing. The Assembly by-laws provide for student representatives on two faculty committees: (a) the FA SA&P Committee, and (b) the FA Curriculum Committee. Undergraduate students serve on each committee. The student committee members have voice and vote in committee meetings but not in executive sessions. The FA SA&P Committee at times must act on individual student requests. The Committee will call for an executive session (without student representation) when individual students are discussed in order to protect the privacy of the student being discussed. 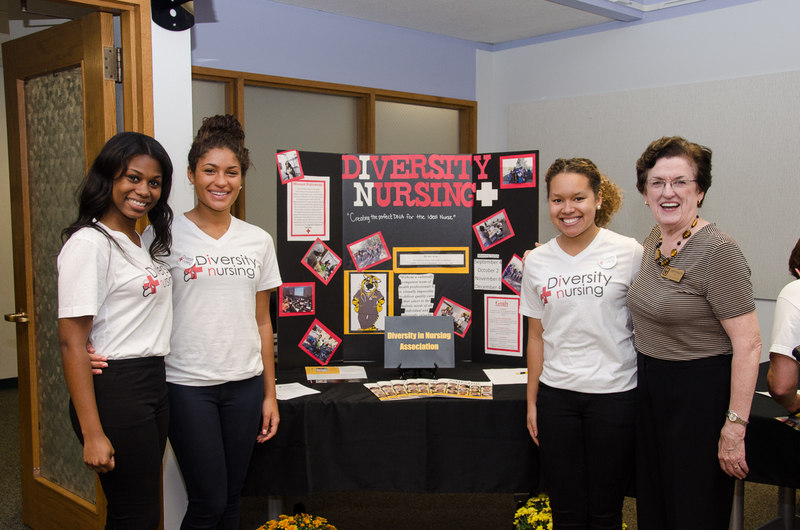 Nursing students are eligible to participate in campus organizations for which they qualify. A complete listing of recognized student organizations may be found in the M-Book. Students may stop by the Department of Student Life in Brady Commons to inquire about participation in student organizations other than those specific to nursing students. Membership in national nursing organizations such as the American Nurses Association, the National League for Nursing, the Nurses’ Association of the American College of Obstetricians and Gynecologists, and the American Association of Critical Care Nurses is encouraged.